This next instalment in the Offerings worship series provides a dynamic blend of contemporary favourites destined to become classics, and worship moments captured live. Less than two years previously, Third Day decided to create a project specifically for their fans. With almost a decade of touring under their belts, the Atlanta-based rockers had become known for kinetic live shows that incorporated modern worship with the band's signature southern style. 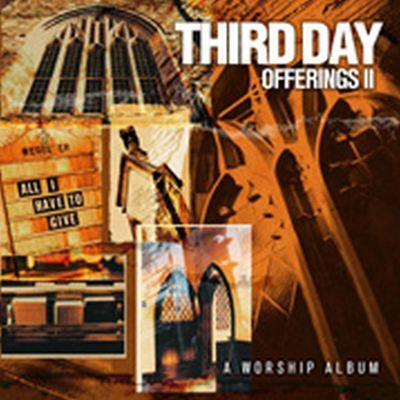 Offerings II: All I Have To Give, CD by Third Day was published by Essential Records in February 2003 and is our 13644th best seller. The ISBN for Offerings II: All I Have To Give, CD is 0083061070625. Be the first to review Offerings II: All I Have To Give, CD! Got a question? No problem! Just click here to ask us about Offerings II: All I Have To Give, CD.